How to See New Movies at the Theater FREE…Yes I said FREE! Summer Movie Season is in full swing. So far in the last few weeks we’ve been to see Star Trek: Into Darkness, After Earth, The Internship, Kings of Summer, and I have passes to see Man of Steel and The Way Way Back next week. And they are all FREE! We haven’t spent a dime (not even for parking so far). 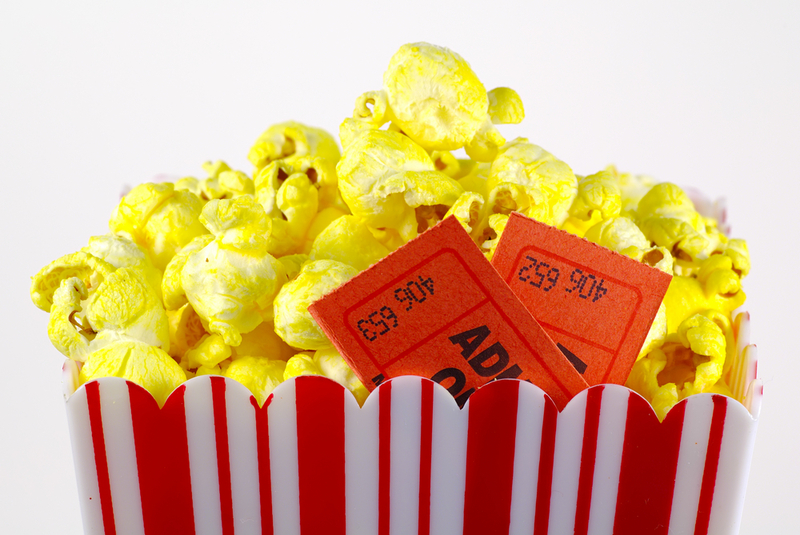 If you live in a major metropolitan area, chances are there are Free Movie Advance Screenings. You get to see new movies before they hit the theaters, free! (how many times can I say “free” in one post? ;-)) I’m going to tell you how. I stumbled onto this phenomenon about a month ago when I entered an online contest for tickets. At first, I thought it was way too good to be true, but after seeing all the movies above, I am now a believer. Basically, major movie studios do free advance movie screenings all across the country to spread the word and get a buzz going about their movie. There are many websites online that are involved in giving away passes to these free screenings, and some are better than others. For some movies, you’ll enter a drawing for tickets through email or text, and some you just sign on and claim your passes, and others will require an rsvp code that will be available through local tv and radio stations or other sources. You do have to enter your contact information, which I was wary about at first, but (so far at least) I have not been spammed in any way. Here’s the gist of it: Sign up for email notifications at the websites listed below. You’ll get an email notification (or sometimes a text, depending on who’s sponsoring the screening) saying you “won” passes, or just that you can claim passes online. (this can be anywhere from the same day as the screening to a few weeks before the event) You’ll print out your passes, and head to the theater. The screenings are on weeknights, usually around 7pm (sometimes later). The catch is, you have to arrive early. They overbook these screenings to ensure a full house, so you’ll need to arrive at least an hour before showtime, sometimes earlier if it’s a big movie. (FYI: in this case I’m referring to Denver. We are lucky here in that we are a smaller city. I’ve heard that getting into these free screenings in larger cities such as LA can be more challenging, and you’ll probably need to arrive even earlier) You’ll wait in a designated line (I always bring something to do), and they generally let you in about 30 minutes before showtime. Usually, there are no previews, just the movie you came to see. With bigger movies, there is sometimes security that will ask you to turn in your cell phone and will want to search your bag for recording devices (we’ve only encountered this once, I honestly just turned off my cell and put it on my back pocket, don’t tell on me ;-)) After your movie, usually within a few hours, you’ll get an email asking you to rate the movie, write a little review, and share it on social media. That’s it. (while I have been diligent about writing the reviews, I haven’t always shared them.) It’s actually fun to get my Siskel & Ebert on and write a movie review (I know, I dated myself with that reference) it usually takes me about 10 minutes. Well worth it for two free movie passes! While there are many free screening websites out there, so far I’ve found the best ones to be advancescreenings.com and gofobo.com. Just sign up for the email notifications, and they will let you know when there is a new screening in your area. If you are really active on Facebook or Twitter, you can “friend” them and get notified that way. Denver-Note: Most of the Denver screenings seem to be at the Pavilions on the 16th Street Mall. Park in the Pavilion’s underground lot, take your parking ticket to the theater, and get it validated for 4 hours in the theater lobby. The machine is hard to see, but it is just inside after they take your movie tickets to the left on the wall. So sign up, go see some free movies, and have a great summer! This entry was posted in Denver, lifestyle, Movies and tagged advance screenings, bargain hunting, best for less, budget, Denver, fine living, free movie screenings, free movies, free movies denver, lifestyle, movie theater, saving, screenings, see movies for free, summer blockbusters, summer movies. Bookmark the permalink. Ah! Mazing! How could I not have known about this? Thanks for sharing!! I’ll definitely be checking that out!